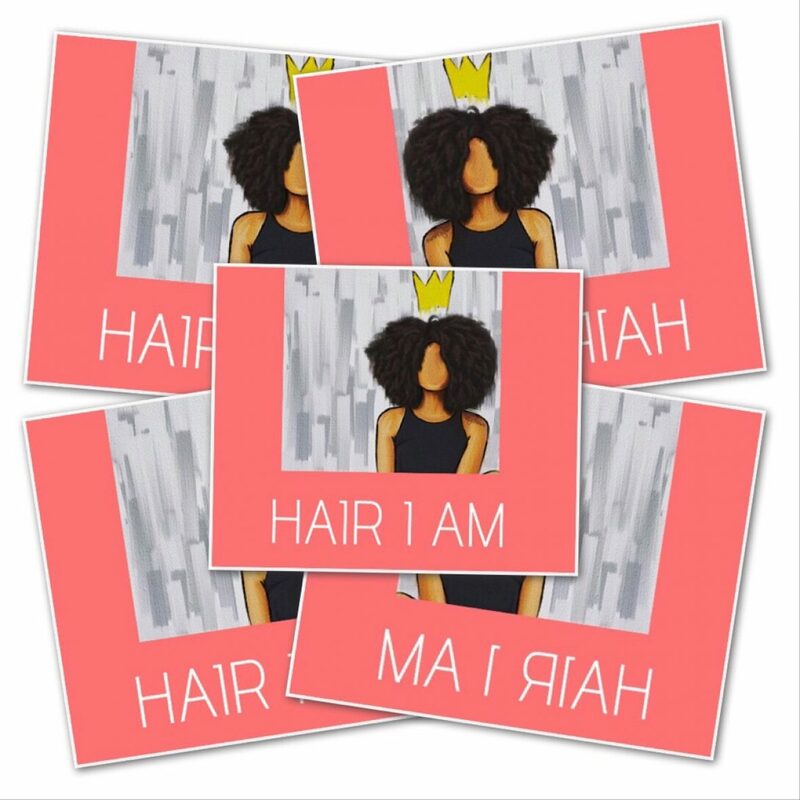 One question that often plaques many naturals is, "Am I still natural, if I color my hair?" In theory, no since commercial hair coloring is made mostly of chemicals! However, the greatest challenge many have is jumping the broom into the rite of passage of the Natural Sisterhood! We were raised on hot combs and relaxers, even knowing it wasn&apos;t healthy for our hair! Straight is what we have been historically taught to accept as beautiful & coily hair shunned and referred to by society as unkept and unattractive hair! So, I say to those newbies…. or oldies, chile Yes you are natural and beautiful, hair color and all! You wearing those curls girl! 1	Coffee. Coffee works great if you&apos;re looking to go darker, cover gray hairs, or add dimension to dark tresses. 4	Beet and carrot juice. Coffee works great if you’re looking to go darker, cover gray hairs, or add dimension to dark tresses. Simply brew a strong coffee (espresso works well), let it cool, and then mix one cup with a couple cups of leave-in conditioner and 2 tablespoons of coffee grounds. Apply on clean hair and allow to sit for about an hour. If you use apple cider vinegar to rinse, it will help the color last longer. You may need to repeat the process a couple times to see noticeable results. Like coffee, black tea can help you go darker, and can also help cover gray hairs. If you have lighter hair, though, there are other types of tea you can use. Chamomile, for example, is recommended for blondes, while rooibos may work for redheads. Do keep in mind that tea works best with your natural color. You won’t be able to turn blonde hair brunette. But black tea can darken blonde hair and chamomile can lighten it—especially if you sit in the sun while you have it in. The longer you leave the tea on the hair, the more noticeable the color will be. You can also try repeated applications. The key is to make the tea highly concentrated. Use 3-5 teabags (or about the same amount in loose-leaf tea) for two cups of water. You can apply the cooled tea to hair alone, or mix with conditioner (as noted in the coffee recipe). If you’re seeking to cover grays, mix with some fresh or dried sage, which helps open up the hair follicles. Leave on hair for at least an hour—more if you want more color. Some even put on a cap and wear the tea overnight, then rinse the following morning. Check your color to determine what intensity you need. •	Red hair: Try calendula, marigold, rosehips, and hibiscus to deepen the red shade or add a few red highlights. The effects are cumulative—if you keep using the dye regularly, you will notice more color. Simmer the flowers in water for about 30 minutes, strain, cool, and then spray or pour on hair and allow to dry in the sun if possible. •	Brunette/dark hair: Rosemary, nettle, and sage are all great herbs for dark hair. Simmer all three with water for 30 minutes, cool, strain, and spray or brush through hair. Allow to sit about an hour. You can also use the rinse daily after your shower. Be patient—it may take several days to notice a difference. •	Blonde hair: As mentioned above, chamomile tea works, but you can also try calendula, marigold, saffron, and sunflower petals. To hide grays, try rhubarb root in two cups of water, simmer, strain, and pour over hair. Add black tea to the darker colors above to help the color last longer. Catnip works for lighter colors. These two juices can add natural red tints to your current color. Depending on what shade you want, you can use each alone, or mix them together. For a more reddish tinge, use more beet juice (strawberry blonde, deeper red, or auburn). Carrot will produce a quieter reddish orange. This one is easy—simply apply about a cup of the juice to your hair. You can also mix in some coconut oil to condition hair at the same time. Work it through, wrap hair, and leave on for at least an hour. (These juices stain—wear something to protect your skin and clothes.) Rinse the juice out, and seal with an apple cider vinegar spray. If the color isn’t dark enough, repeat the next day. One of the most popular natural hair coloring ingredients, henna is a powdered form of the leaves that come from the henna plant. These leaves have a natural and effective coloring pigment that has been used for thousands of years to dye hair, nails, and skin. Natural henna, on its own, creates a red-orange color, so if you see products offering other colors produced with henna, realize the manufacturers have mixed the henna with other ingredients to achieve those colors. Redheads and brunettes (looking for a bit of auburn) are the best candidates for henna hair color. Be careful with this one—the results can be more orange than you’d like, so you may want to mix a little chamomile in with the paste to tame the color. To make your own henna hair dye, mix about one cup of henna powder with 2 cups lemon juice. You can also add in a tablespoon of vinegar to help release the color. Allow to sit about 4-6 hours until it thickens. Apply to hair and comb through. (This is messy so be prepared!) Wrap your hair in plastic wrap and allow to sit 2-3 hours before rinsing. Looking for a few highlights? Try fresh-squeezed lemon juice sprayed and brushed through hair. Leave on for several hours. If you sit in the sun, you’ll notice more lightening. Blondes can enjoy even more lightening by mixing with chamomile tea. Lemon juice works slowly, so expect to repeat applications several times before seeing results. If you want to secure a dark brown color, this is the way to go. Crush the walnut shells and boil for about half an hour. Cool, strain, and apply to hair. If you’re wanting to cover grays, you can use a cotton ball to apply only to those areas where it’s needed. Again, be careful as this dye will stain everything, so take precautions. To create a more intense dye, return the strained juice to the heat and boil until it’s simmered down to about a quarter of the original volume. Allow to cool in the refrigerator, strain if needed, and pour through hair. To save time, use walnut powder instead of the shells. Let sit for at least an hour (more if you want more color), and rinse. Try to avoid really hot water as it can take the color away. Wash in lukewarm to make the color last longer.